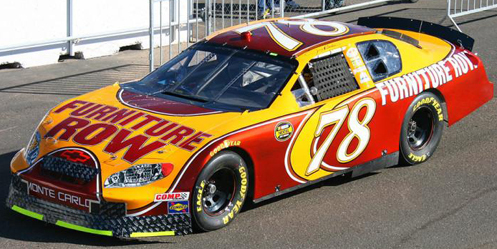 Pictured - the paint scheme Truex should run at Homestead. On this day thirteen years ago, if you were at “The Monster Mile” in Dover for the MBNA NASCAR RacePoints 400, you were witnessing history. On that day, in the 43rd and final starting spot, Furniture Row Racing made their first-ever Cup Series start. There wasn’t much press coverage of the brown-and-gold Chevrolet that Kenny Wallace was driving that weekend. At the time, Furniture Row Racing was one of a number of start-up programs which had sprung up after a recession in 2004. As the team looks to finish strong in their final year in operation, we look back today on how it all began. Furniture Row Racing’s first mention on Jayski came on January 1, 2005, when Joe Garone announced he was leaving his job as Director of Competition for Michael Waltrip Racing to become the new team’s crew chief. Garone, whose resume included work with Bill Elliott and NASCAR’s R&D center, would be paired with fellow Colorado native Jerry Robertson, who won the last two consecutive titles in NASCAR’s Northwest Regional Championship Series. The founding of the team signaled the ascendancy of Furniture Row itself, a parent company of several furniture store chains belonging to Colorado businessman Barney Visser. Visser began the company in 1972, and over the years acquired specialty stores Sofa Mart, Bedroom Expressions, Oak Express, and Denver Mattress Co. With these properties, Visser opened several furniture mini-malls (or “rows”) – more than forty across the country by the end of 2005. Full-page newspaper advertisements for these stores proudly announced the “Inaugural Season” of Furniture Row Racing, showing Robertson standing next to the new No. 78 Chevrolet. The font on the door numbers has remained the same to this day. This Inaugural Season was similar to that of many start-up operations of the time – a part-time operation with goals of running full-time the following year. Robertson would start out in what is now the NASCAR XFINITY Series, where he’d made just five starts dating back to 1997, when he ran a career-best 22nd in his debut at Las Vegas. He’d be entered in fifteen of the season’s thirty-four races, starting with the third round in Vegas. Robertson missed the cut that day, third-fastest of the eight drivers who failed to qualify. Driver and team bounced back three races later at the Nashville Superspeedway, where Robertson impressed with a 24th-place starting spot. He’d finish 33rd, out just short of the finish with a blown engine. Throughout the 2005 campaign, Robertson, Garone, and Visser endured the growing pains of a new operation. Though he matched his career-best 22nd at Fontana, Robertson failed to finish three times because of crashes and failed to qualify another four, including the season finale. Undeterred, Furniture Row eyed the next phase of their development – making the jump to Cup. Ultimately, Robertson would play just a small role in that jump, making a single Cup race at Phoenix with a 41st-place finish. The team’s debut would go to someone else. The news broke on Jayski on September 22, three days before the race. Furniture Row signed series veteran Kenny Wallace to a five-race deal, again with sights set on a larger commitment for 2006. Tim Weiss, who began the year with Eric McClure, served as crew chief. But for the technical differences between the series, the car Wallace drove was visually identical to Robertson’s machine, the Furniture Row logo on a brown-and-gold Chevrolet. The car also had some difficulty getting out on the track in qualifying. Scheduled to go out 37th of the 48 entered drivers, Wallace went out 43rd. SPEED Channel’s coverage of qualifying returned from commercial just in time to see Wallace complete his run. “You talk about guys who had to come a long way,” remarked Jeff Hammond, “this car here is being kept out in Colorado.” With that, it was on to Dale Earnhardt, Jr.
Wallace sat on a best lap of 151.725mph (23.727 seconds), which at the time was only good for 39th on the grid – by no means locked-in. 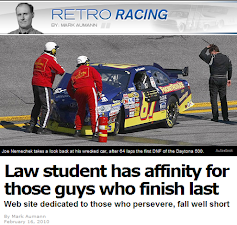 In fact, the lap only locked-in eventual 40th-place starter Stanton Barrett, who was fielding his own unsponsored No. 95 Chevrolet. 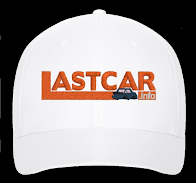 After Junior locked-up the fourth spot, the team’s eyes were fixed on Hermie Sadler, driving for another new operation – Front Row Motorsports. In the end, Sadler’s No. 92 could only post a best lap of 150.816mph (23.870 seconds), good enough only for 45th. Wallace had made it in by less than two-tenths of a second. “We’ll be testing before every race to make sure the car is competitive, so we do this Cup deal right,” said Wallace during the weekend. On race day, Wallace climbed aboard the No. 78 for his first Cup start in eighteen races, dating back to a 27th-place effort for Michael Waltrip at Darlington. 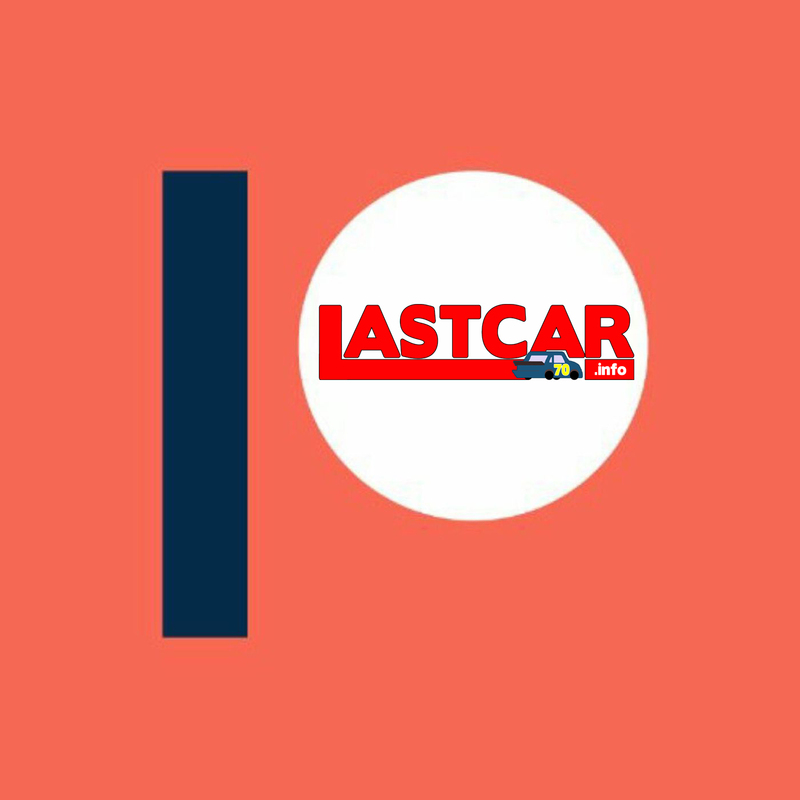 The starting grid graphic by TNT didn’t use Furniture Row’s now-iconic italicized numbers, only the default font for new teams such as theirs. Wallace gained three spots at the start thanks to pre-race penalties for Mike Bliss, Bobby Hamilton, Jr., and Kenny’s older brother Mike Wallace. 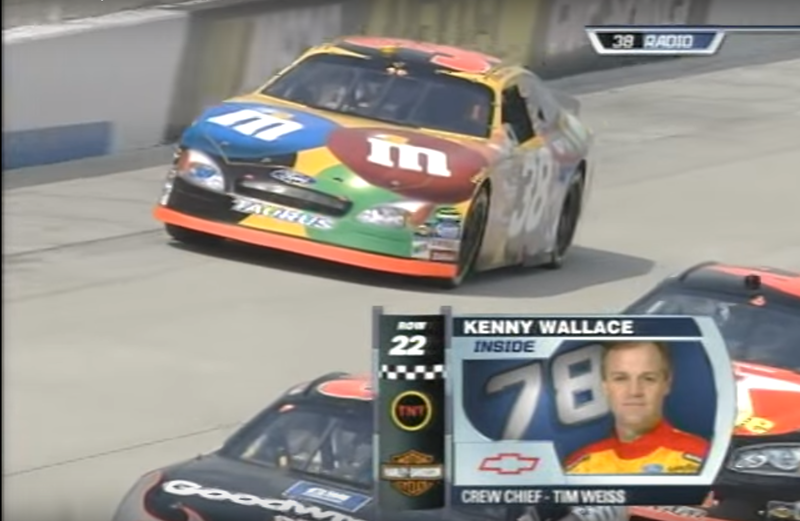 And though Kenny was told to pick up his speed on Lap 52, the No. 78 came home under power in 34th, 23 laps down to race winner Jimmie Johnson. 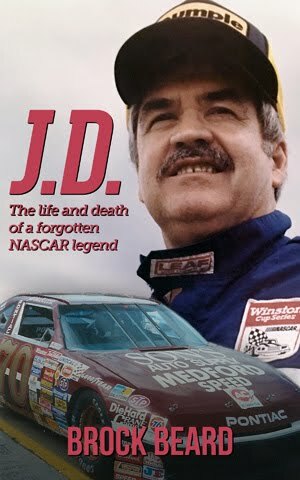 When the checkers fall at Homestead, Furniture Row Racing will have made a combined 450 starts since that day at Dover. But perhaps none were more important than that day in 2005. *“Furniture Row center opens,” The Courier, May 10, 2005. *Wallenfang, Maureen. “Stores seek bigger, better locations,” Herald Times, November 13, 2005.